There are a few free android apps in Google Play Store that focus on teaching you to find, identify, or prepare wild edibles. Below are 3 of the best apps for learning about wild edibles and foraging. I will explain the differences and What you should expect from each one. I intended to review Edible and Medicinal Plants By Clandestine Research but had technical problems just trying to open it. It is .pdf based, and the .pdf wouldn’t open in my reader. Others have had the same problem. Wild Edibles Lite By WinterRoot LLC and Wildman Steve Brill is by far the app that contains the most information per plant. 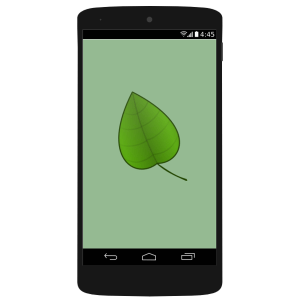 The lite version features 20 plants and the full version features more than 200 plants which is more than any other app. For each plant there are multiple pictures and up to 14 categories: General Info, Habitat, Seasons, How to Spot, Positive Identification, Similar Plants, Similar Plants Explained, Cautions, Harvesting, Food Uses, Nutrition, Recipes, Medicinal Uses, and Poisonous Lookalikes. The inclusion of recipes for each plant makes this app truly unique compared to the others (most if not all the recipes are vegan). This app features only plants that grow in temperate climates, some of them happen to grow in tropical climates as well. The plant selection also focuses on ease of identifying, harvesting, and preparing, so these should be the best wild edibles for beginners as well as experienced foragers. Even though one of the other free apps has more plants that Wild Edibles Lite, this is the one you want if you live in a temperate climate. Wildman Steve Brill has written numerous books about foraging and wild edibles and his vast knowledge shows with this app. If you’re serious about learning to identify and forage for wild edibles then you’ll probably want the full version with more than 200 plants, as well as about 65 minor plants including lookalikes, similar plants, and poisonous plants, no other app has that many plants, and as mentioned before there is a lot of info for each plant. Edible and Medicinal Plants By Government Conspiracy contains more plants than any other free app. there were 110 plants and each plant has up to 5 categories of information: Description, Habitat and Distribution, Edible Parts, Other Uses, and Cautions as well as one or two photos per plant. The plant selection is broad and diverse. Its difficult to know which plants grow in your area and which ones don’t. There are literally plants from the arctic to the tropics and from mountains to swamps. This app would be good for someone who is a world traveler and is likely to find themselves in survival scenarios, but someone like that would already have extensive survival knowledge to begin with I would hope. You can find a good amount of useful information from this app, but it would probably take some time sifting through all the plants and cross referencing online to see what grows in your area. I know for myself personally I found a few edible and medicinal uses for plants in my area that I had not previously known. Foraging Flashcard Lite By WinterRoot LLC and Wildman Steve Brill is a great little app for helping you to memorize plant names. It is simple and straightforward. It doesn’t give any written information on these plants but learning to match the name with the plant is important for foragers since all the plants in this app are very common wild edibles. Besides for the lite version there are 5 more apps in the series all focusing on different identification features or seasons. We’ll be adding more plants, including species from other regions, and lots of new recipes. Eventually we’ll be adding social networking, so users can share plant locations, and rate the accuracy of the locations. For more info about foraging, my apps, books, and tours, please check out wildmanstevebrill.com.